and i can't online so much. hm.... it's boring actually. the first week is kinda boring. hm... whatever! now i'm not in a mood to write something long. Mood: unable to describe. ._. TO MY DEAR FOLLOWERS and TO ALL CASSIOPEIA!!!! .click the picture for the full size. i was so happy back then until i forgot about her. but now, i have to be serious. she's our friend in CASSIOPEIA. read the article made by one of the Cassie then you'll understand her story. i can't help it but to cry. she's a strong girl. she still hope that she can meet Changmin-ssi even once! please Cassiopeia! don't keep on stay happy while our dear friend right here needs your supports and helps! pls spread this even you're not one of the CASSIOPEIA! 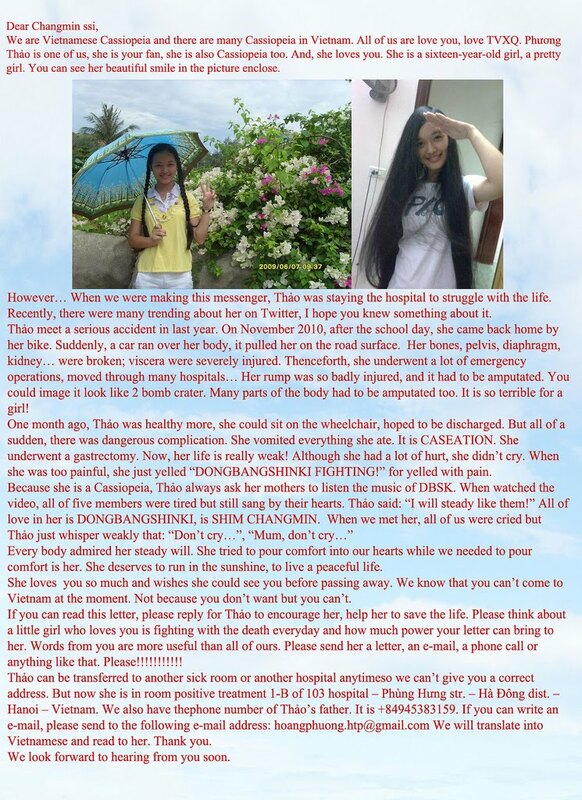 i'm begging you to PLEASE SPREAD THIS not for CASSIOPEIA, but for her! i don't care if you're Asian people or Western people! whoever that came into my blog and accidentally read this post of mine, please! 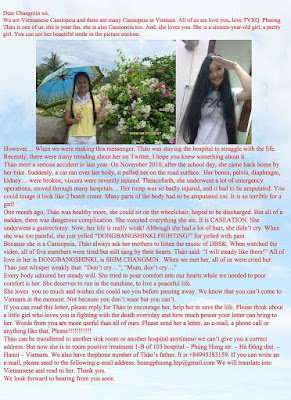 help her to fulfill her last wish before she go. PLEASE! i don't ask you to do anything else, just spread this article around by posting it on your blog! Please. Help us to fulfill our friend last wish. 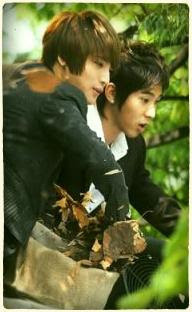 CASSIOPEIA WILL BE VERY THANKFUL. Mood: sad and missing DBSK so much! 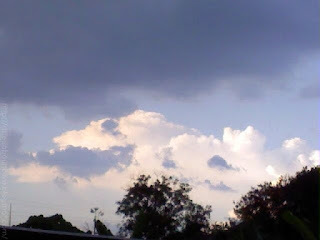 I CAN'T HELP IT BUT TO SHARE THIS!!!! what is the ringtone's song? it is, JYJ - Be My Girl remix.